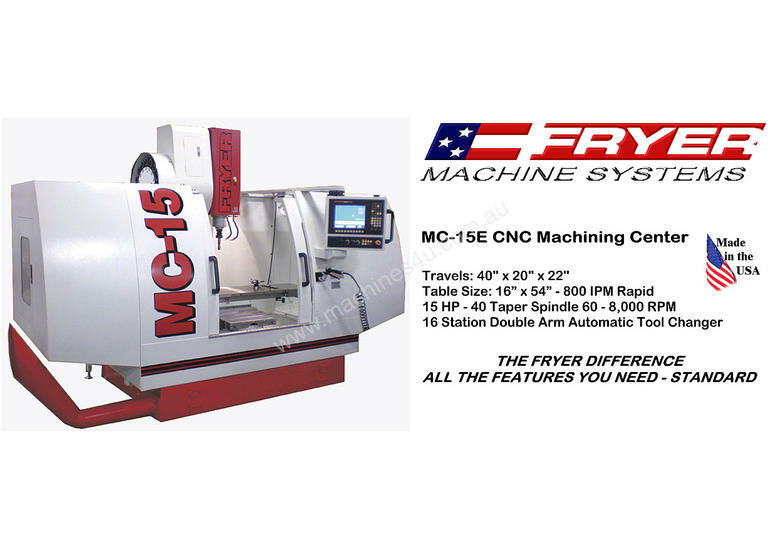 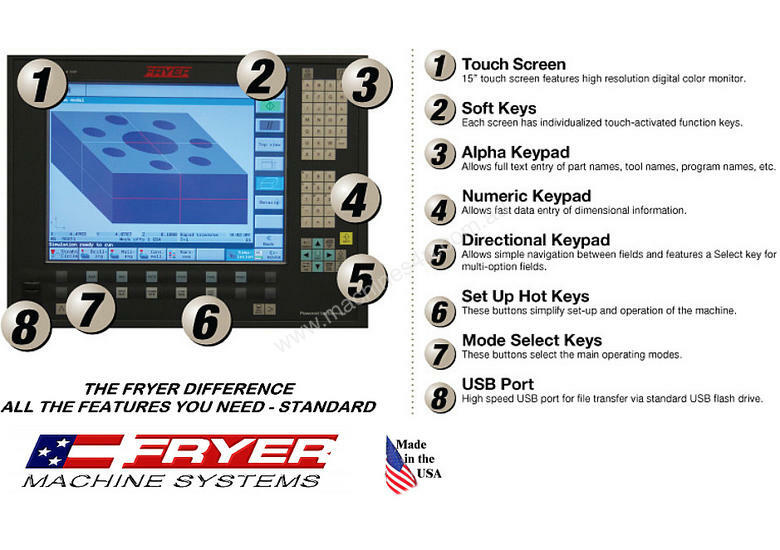 The Fryer MC-E Series provides fast, reliable performance at a very affordable price. 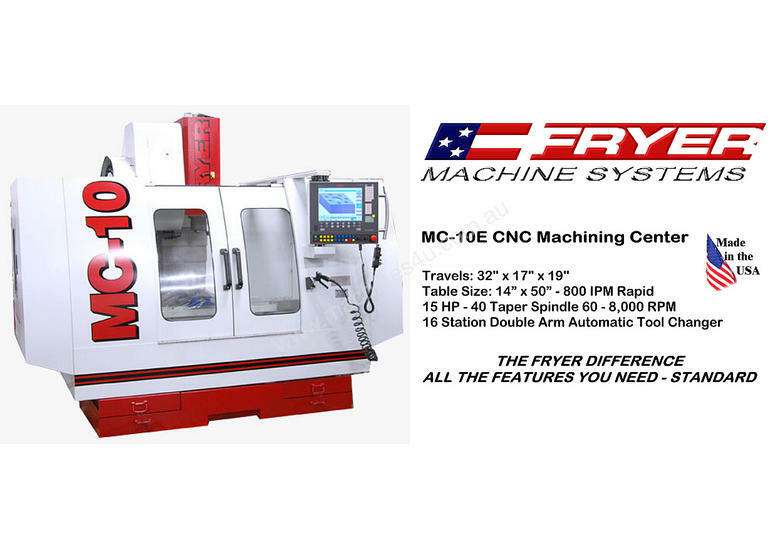 Standard features like box-way construction, 16 tool double arm ATC, 8,000 RPM spindle, 800 IPM rapids and digital control make these machines an outstanding value. 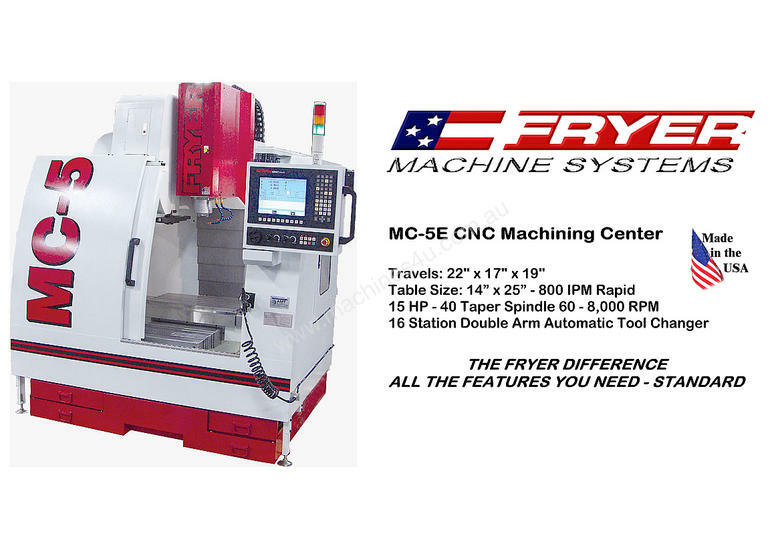 Extremely fast and easy to set-up, the MC-E is the perfect addition to any shop.